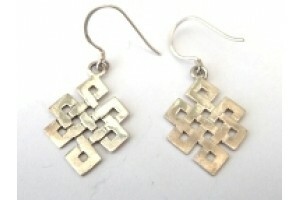 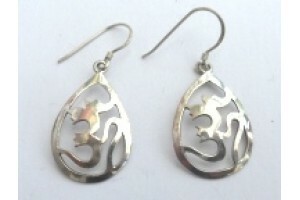 A choice of Buddhist silver jewelry in distinctive Tibetan Styles. 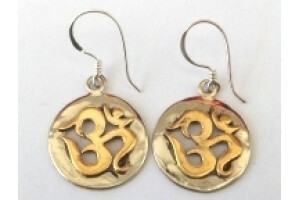 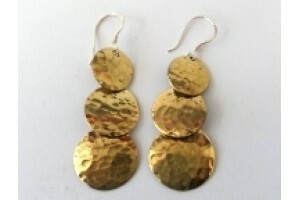 Brass and white metal Om earrings. 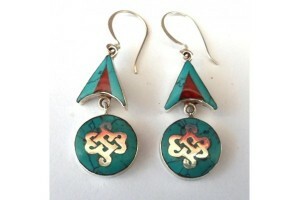 Please note tha..
Long silver "Om" earrings with Turquoise and red..
Long solid silver Tibetan style earrings 4cm long..
Tibetan silver and brass earrings 4.5 cm long (exc..
Silver Earrings with turquoise 2.5cm long..
Silver Endless Knot earrings with turquoise and re..
Fine silver eternal knot earrings. 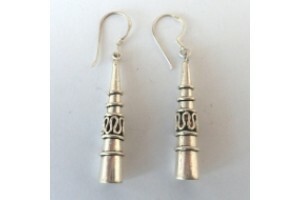 These earrings ..
Fine silver Sanscrit Om earrings- 2.5cm long&.. 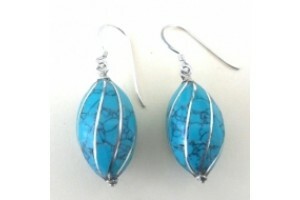 Attractive Tibetan Style silver earrings with turq..
Turquoise silver/white metal Tibetan Style Earring..
White Metal drop earrings in Turquoise. 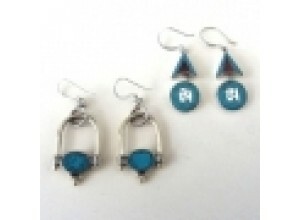 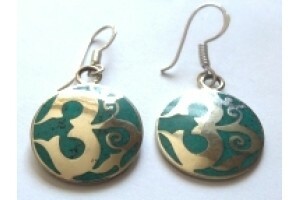 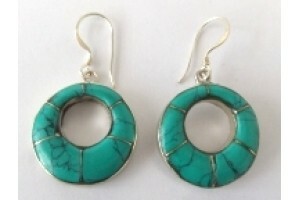 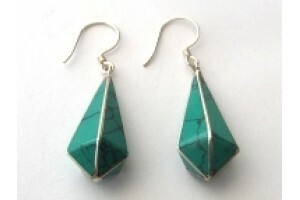 Approximat..
White Metal Earrings with Turquoise effect and San..